Find out now. We'll then send you a quote meeting your requirements. 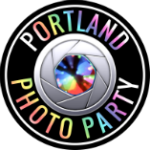 Portland Photo Party accepts bookings for the Portland, Oregon / Vancouver, Washington metro area. We also serve Salem, Eugene and Corvallis.